You’ve done the ugly sweater party. You may have done the plaid party. Now, I give you – the Christmas Movie Character Party! Encourage guests to come dressed as their favorite holiday movie character. Need suggestions? That’s what I’m here for! · A Christmas Story: Ralphie, The Leg, Randy in the Bunny Costume. · Frosty The Snowman: Frosty. · Babes in Toyland: Mother Goose, Bo Peep, Mary Contrary, Jack-Be-Nimble, Jack, Jill or Boy Blue. · Charlie Brown: Sad tree, Charlie Brown, Lucy, Linus, Snoopy, Schroeder, Patty, Sally. · Mean Girls: No, not really Christmas, but you can do the Mean Girls and Amy Pohler in school skit scene. · Rudolph the Red Nosed Reindeer: Reindeer! 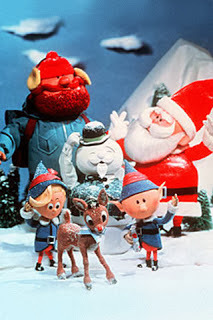 Sam the Snowman (voiced by Burl Ives), misfit toys. · Miracle on 34th Street: Santa Claus. 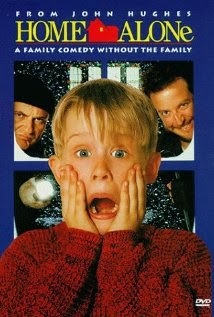 · A Christmas Carol: Ghosts of Christmas Past, Present and Future, Ebenezer Scrooge or Tiny Tim. · Last, but certainly not least, my favorite: Emmet Otter’s Jug-Band Christmas: Go as Otter’s! I’m sure I forgot some good ones. Help a sister out!